After a quick shower, we made a last minute booking at Bar Boulud at the Mandarin Oriental, in the vicinity of Harrods and Harvey Nics. They make a mean burger, as was evident by the number of burgers coming out of the kitchen! You have a choice of four, including a “Yankee” burger, as well as pulled pork and other options. Bar Boulud is a chain of restaurants originating in the USA, opened by Michelin-starred celebrity chef Daniel Boulud. 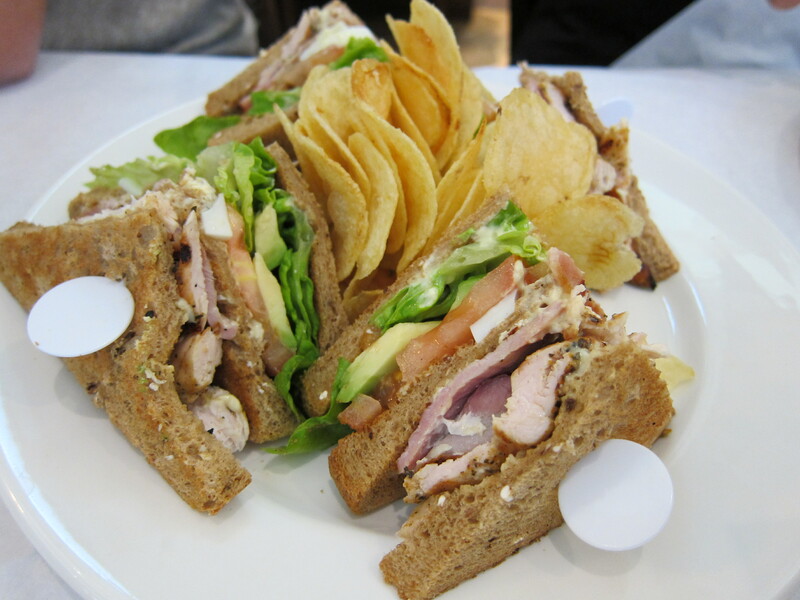 Now, this French American Bistro doesn’t pretend to compete with Mr. Blumethal’s gig upstairs, but instead is a casual place to have a nice meal with excellent service. 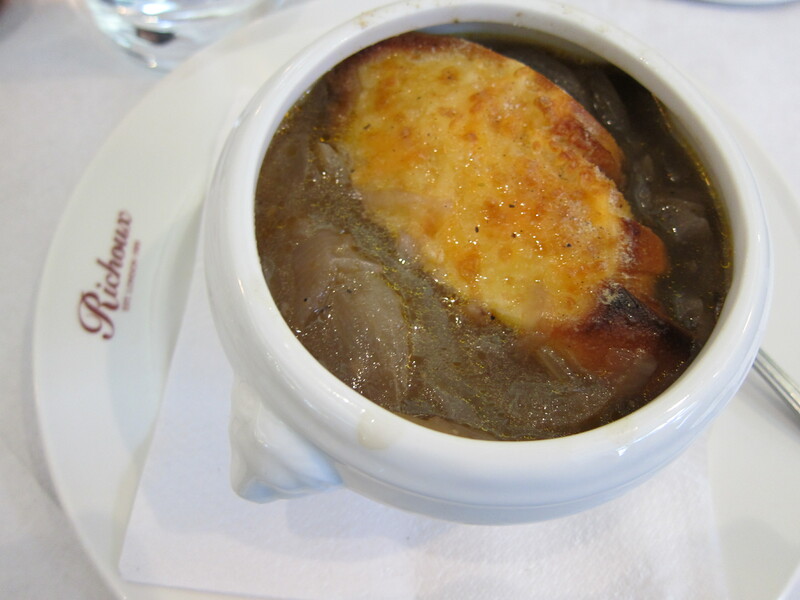 Their “Prix Fixe” set lunch menu is surprisingly good value at £23, and the portions were quite generous – I could have shared one menu with my mum. Bar Boulud’s Olive Bread. Lunch menu: Rocket Salad with mozzarella and a trio of aioli, tomato and tepanade toasts. Whole bone-in Pan-Fried Sole with Brown Butter Sauce. The Yankee Burger with a side of french fries. Lunch menu: Grilled Plaice with Creamy Polenta and Basil. The AMAZING dessert with the Prix Fixe menu, and free macaroons because they took our fries away before we were finished! Hong Kong Mother’s Day fell on that Sunday, so we treated our mum to our favorite Italian in Notting Hill – Osteria Basilico. I called from HK in advance to secure a table on street level. On a sunny day with light streaming through the windows, it’s much nicer than the dark yet still cozy basement level. 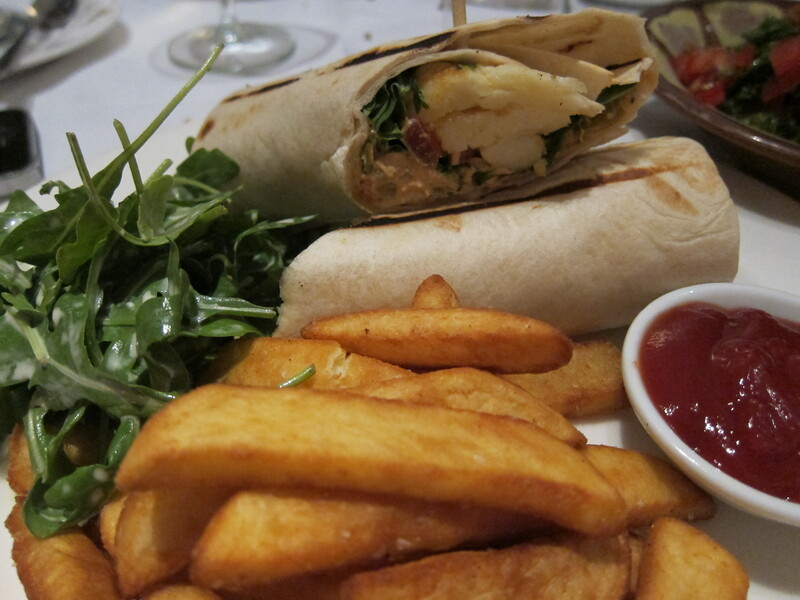 We love this place for it’s non-fussy, straight-forward and scrumptious food, not to mention at a great price. 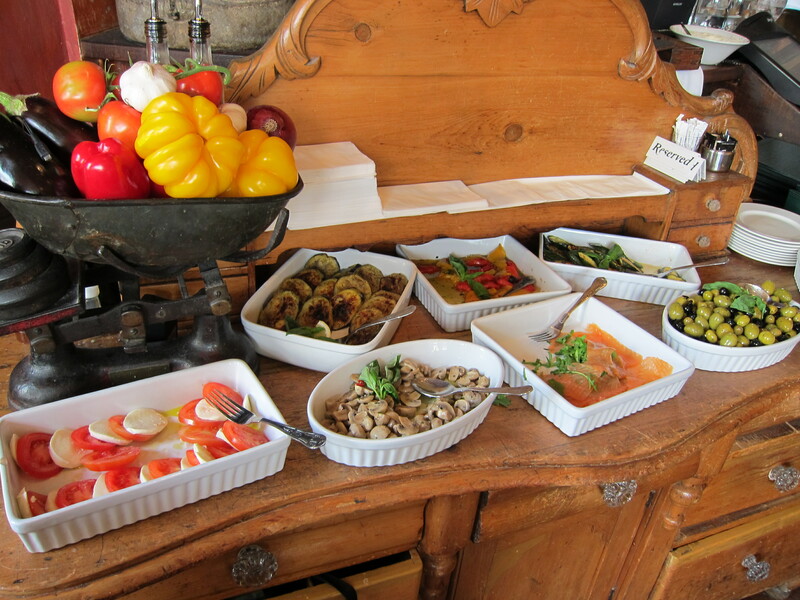 Fresh selection at the Antipasto Buffet (only one visit) – £8.50. I practiced my piling skills from back in the old days (Four words: Pizza Hut Salad Bar), and this was more than enough for three of us to share as a start. 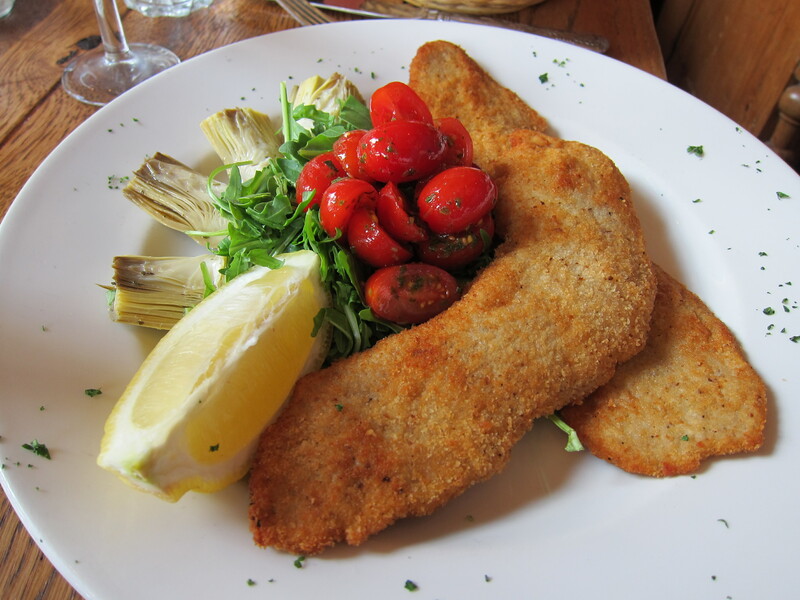 Veal Milanese with rocket, artichoke and cherry tomatoes – £18.50. This dish was the only disappointment that I have encountered at Osterio, the meal was bashed way too thin, it was dry and completely uneventful. 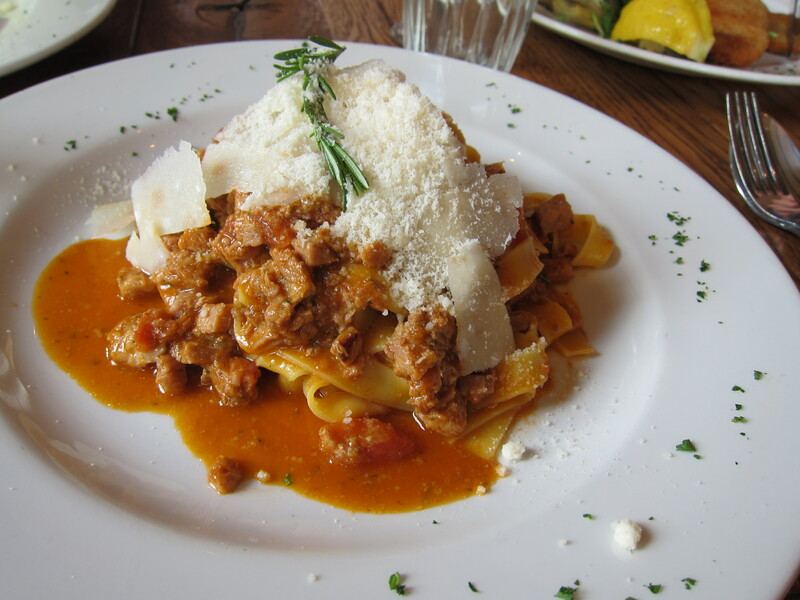 Fresh fettuccine, veal and rosemary ragout – £12.50. 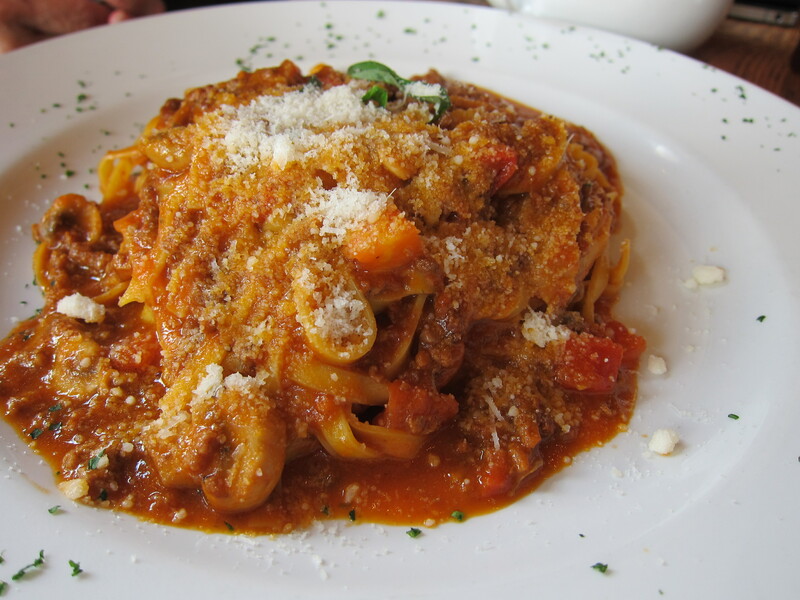 A mild and meaty sauce, one of my favorites. We skipped out on dessert as we saw a crepe stand earlier on in the morning that we wanted to try out. Thank goodness my family loves food like I do! We ordered a chocolate and banana crepe for £4.50. See those Nutella pots lined up all pretty there? 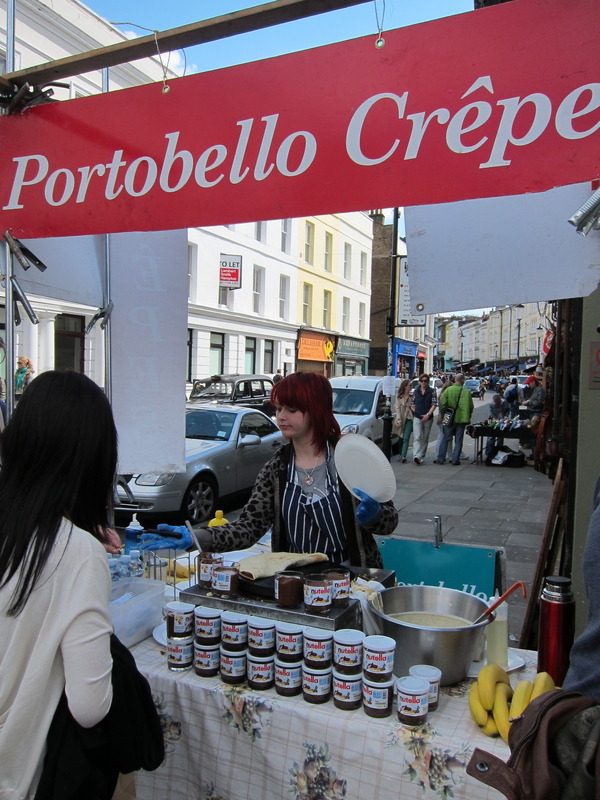 She put about 1/2 of one of those bad boys in each crepe – I don’t even want to know how much of that constitutes your daily recommended intake of … everything! We shared one between the three of us for a sweet fix, it was huge, and it was heavenly. Next I was off to my favorite café on Ledbury Road to see AT for coffee…and another cake. Ottolenghi: I love the colours, I love the flavours, I love the variety, I love everything! And I have both of the signed cookbooks – I am an Ottolenghi groupie! 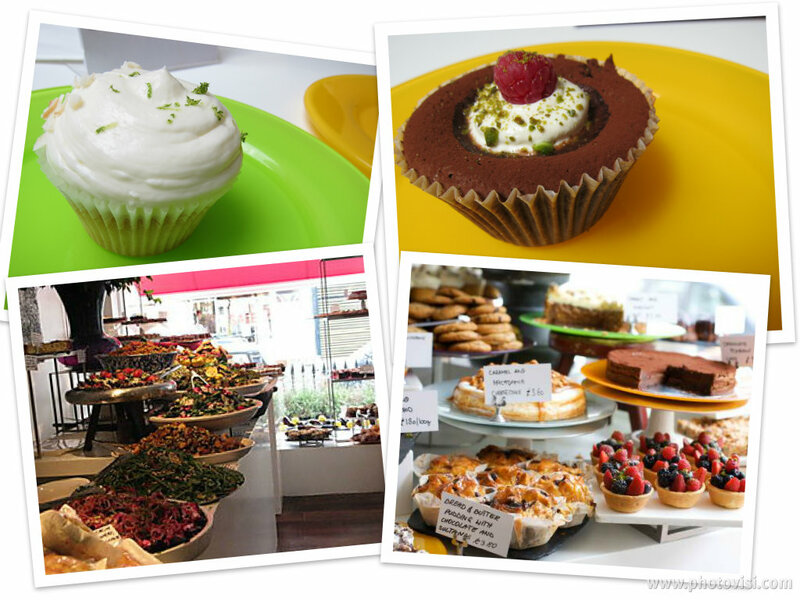 You really are spoiled for choice in Notting Hill for cafés, delis and coffee shops, but this one takes the cake, no pun intended! A lime and coconut cupcake for me, and flourless chocolate cake for AT! 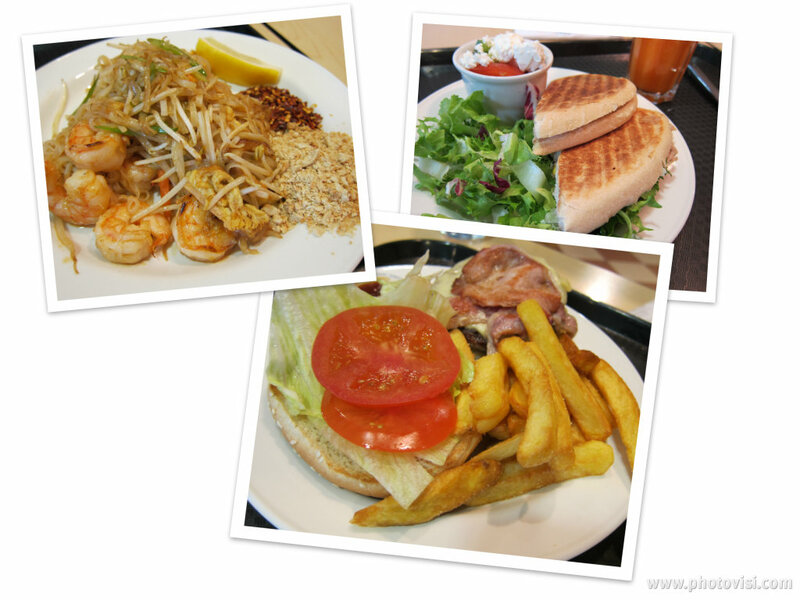 I love their concept – freshly made, healthy dishes bursting with colour, all laid out for you to choose. Simply pick a small, medium or large salad box and let the staff pack them full of goodies! And let’s not forget the desserts – my favourite rose cupcake is never there when I am, but the lime and coconut was a great new discovery! 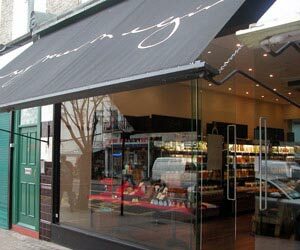 Another great deli that I encountered on this trip was The Grocer on Elgin. Fresh soups, salads, cooked starters and uncooked mains all neatly packaged in a 2 person serving to grab and take out for a picnic, or for dinner if you’re feeling too lazy to cook. It’s a brilliant concept, and you can order online too. Oh, and Sadie Frost was behind us in the queue. 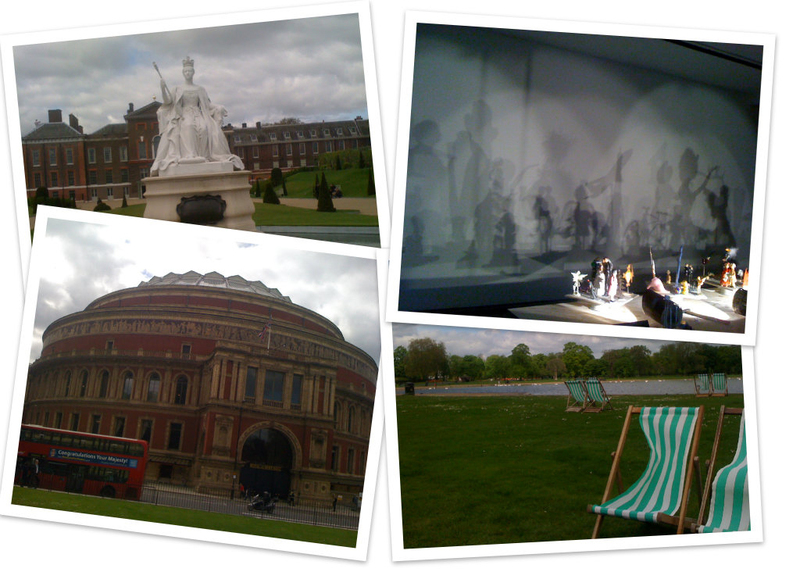 On our afternoon off, we went to St. John’s Wood high street for lunch and a spot of shopping! Our favorite Café Josephine very sadly closed down, leaving us a little lost about where to go. We decided on Richoux – the website looked okay, so we checked it out. Now, why on earth anyone would actually line up to eat that god-awful food I don’t know, but I ain’t ever going back. 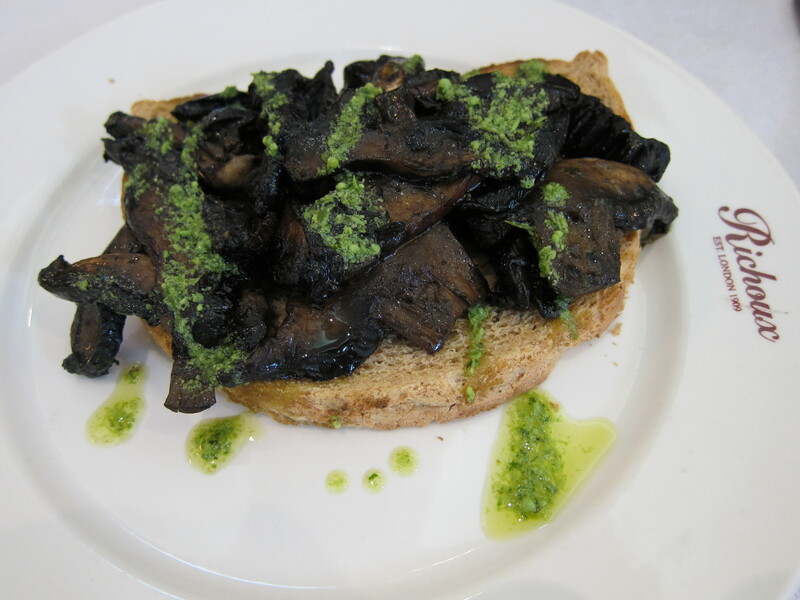 The only semi-decent thing we ate – although it’s hard to screw up mushrooms on toast! 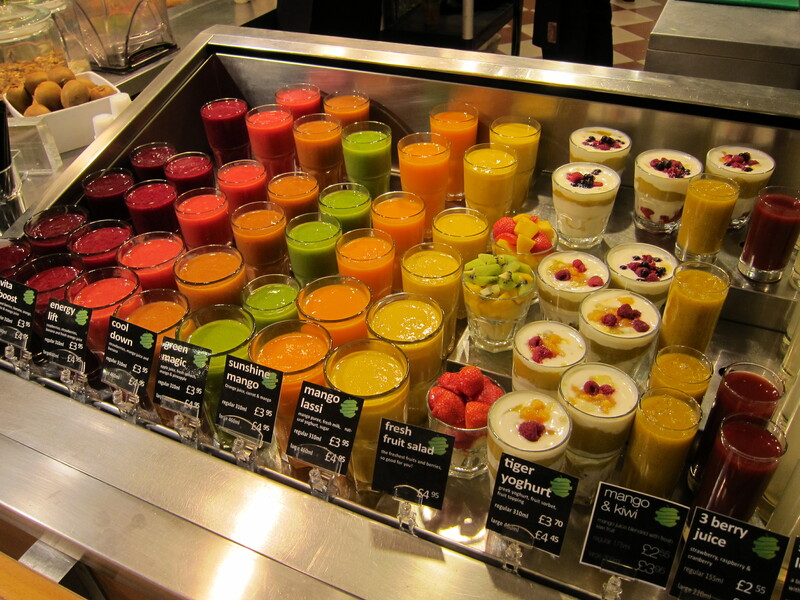 The juice bar, on the other hand, was quite pleasing! 4 hours and 5 pairs of shoes later, I was glad that we had chosen the cheap and cheerful lunch – it’s all about opportunity cost at the end of the day. That evening I met up with the SOAS London crew for a catch up over a late dinner. 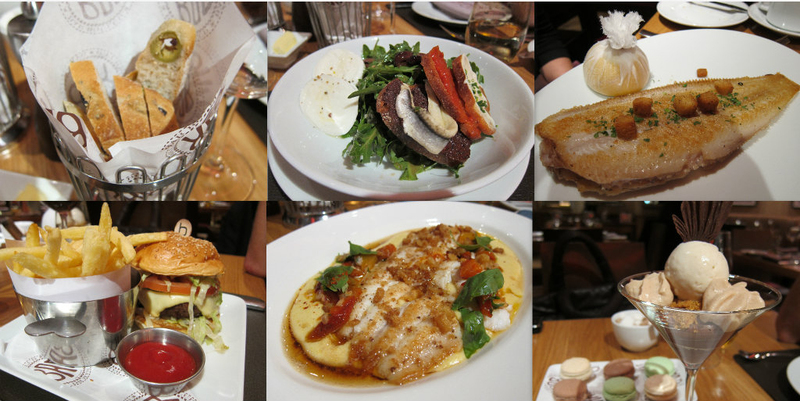 Sofra in Covent Garden is open late, and serves very decent nosh at very decent prices. It was a nice Turkish meal enjoyed with old friends, and the haloumi sandwich is good enough for me to consider vegetarianism and make haloumi a staple food. That is, until I took a look at my friends’ mixed grill across the table!